In this post, I dive deeper into the essential documents that you’ll need for a Subject To deal, and some of the clauses that you should insert into the contracts to help protect you. What is the Subject To Real Estate Investment Strategy? Provides a thorough explanation of exactly what Subject To investing is, and how you can both make money with it and help homeowners in distress. The Benefits and Risks of Investing in Real Estate Subject to an Existing Mortgage Covers the benefits and risks of Subject To transactions that you and your seller should be aware of, including the due-on-sale clause. The Steps to a Subject To Real Estate Deal Breaks down the steps necessary to a successful Subject To real estate deal, from verifying seller facts to the closing. As with most things involving the law, the basics of contracts would take up several chapters, so I’ll only briefly cover the documents that you may need, and the clauses that you may want to have in your contracts when performing these transactions. Let’s start with defining the documents that you’re most likely to need throughout the process and at closing. This list is not inclusive of all possible forms, and your state or county may require more or less forms or they may be named differently. As a good starting point, you can get a list of forms and documents required for a typical real estate transaction in your state from US Legal Forms. Once you have the basic contracts to ensure a legal transfer of property, you can add your own amendments and clauses specific to the Subject To transaction. I recommend that you always have your Subject To contracts and documentation looked over by a real estate attorney in your jurisdiction. Some of these documents are for your due diligence, some will be required for closing, others will be recorded, and some are simply for your records. Most documentation will need to be signed by the sellers, some will need to be notarized and others just witnessed. It’s most efficient to try to get all paperwork done at the same time, for example by having a mobile notary come to a central place where you and the sellers can meet. As mentioned in the last post, the steps to a subject to deal, you’ll need this signed form to perform basic due diligence and verify the information the seller gives you regarding the status and terms of the mortgage and payoff amount. To find this form, just search online for it using the words “Third-Party Authorization to Release Information” + lender’s name. You should have your seller sign this form as soon as possible, either using an online tool such as DocuSign, or in wet ink on your first visit to the property. The terms of the purchase are laid out in this contract. Typically you or the attorney setting up your Agreement will want to add, at a minimum, a Subject To section with some variation of the following verbiage, “This agreement is subject to the existing mortgage”. 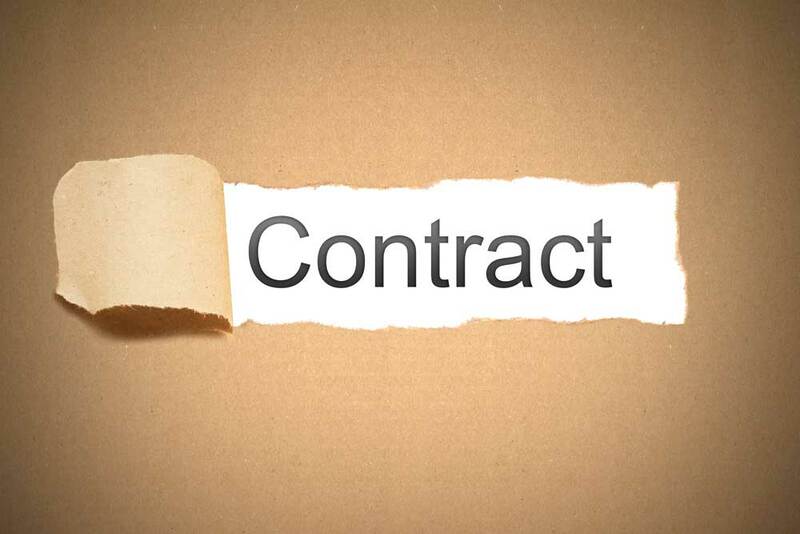 In the next section of this post I’ll talk about the most important clauses to include in this contract. Each property may be subject to disclosures required by every level of government from the city, up to the federal level. These are mandated disclosures between the seller and the buyer. Some are actual disclosures, others are information pamphlets. This disclosure is required by the federal government for any residence constructed before 1978. States like California require this report, which provides information on official hazard zones affecting the use of the property; shows any specific property taxes and assessments, and environmental hazards in the area. This will be the seller’s disclosure of all of the defects of the property. California requires that buildings have the required smoke detectors in each room, and that they comply with certain earthquake bracing requirements. Other locations will have similar compliance requirements. The seller must disclose whether the property was within one mile of an area previously identified as used for military training purposes, which may contain unexploded ordinances. The property might be affected by nearby industrial activity such as airport noise, industrial smells, or safety concerns. These may be local taxes and levies on properties to finance public works and services. These could be disclosures such as specific ordinances affecting the use, restrictions, and or taxation of the property. You will add this disclosure, or if you choose, an addendum in your Purchase Agreement, to clearly explain to seller the risks in agreeing to sell the property Subject To their existing mortgage. Specifically you want to disclose that the lender may call the loan due at any time and that you make no guarantees that you will pay the remaining balance due should that happen. In this document, the seller lists any and all liens on the property, whether officially recorded or not, that they are aware of. Records the marital status of parties to the transaction. This is especially important with separated spouses, to ensure that the Subject to sale has been approved by all parties to a marriage. This document will be filed with the Recorder’s Office or County Clerk in the county that the property is located in, and places your name on title to the property. There has been a change in address to a land trust address or into your name or your business name. This document allows you to sign documents regarding the property — and only the property — on behalf of the seller. Now let’s talk about clauses that you should add to the purchase contract to protect yourself or give yourself rights by the contract. Of course, I am not a lawyer and this should not be construed as legal advice. Instead use this as a starting point for you to have your own conversations with your own real estate attorney. Clauses in a contract basically spell out specific actions that must be performed, and what the seller and the buyer are specifically agreeing to, such as who is financially responsible for what, and within what time period. List the mortgagee and the mortgage amount that you determined with your authorization at their lending institution. Statement that you are paying X amount for the property and that if any additional mortgages, liens, judgments, or other come up on the property the seller is responsible for them. Seller will receive X at closing or if Seller negotiates a payout, when that payout occurs and as a result of what event. If you choose to do so, have a clause stating that should the buyer fail to pay on the mortgage payments for X amount of days, the seller can ask for the property to be returned. This gives the seller assurance that they have some control over their credit risk. Especially important to wholesale investors who may want to assign their Sub 2 contract. If you are marketing the property to other investors, then make sure the seller is abundantly clear on that. Seller will allow buyer access to the property during reasonable hours for the purpose of showing property to prospective buyers. If sellers are required to leave by the closing date, or some other date agreed upon, you should have that stated in the contract. Don’t forget to detail the condition you agreed the property will be left in, and/or what happens if the sellers have not vacated by that date. This clause states what happens to your earnest money deposit if you decide to exercise any of these clauses and decide not to move forward with a property. Ideally you would want to get every penny back. Make sure you add a section in the contract that spells out for the seller’s acknowledgement that you are expecting to make a large profit on the property. If it’s not in writing and not included in your agreement, then it never existed, so you must be sure to include all possible clauses. Keep the language simple and make sure you know what every clause means so that you can easily explain it to the sellers. Since clauses are virtually unlimited in scope, and unique to every property and seller, getting your contracts drawn up by an attorney is worthwhile; your lawyer may suggest additional protective clauses that you haven’t thought of. In this post I listed many of the essential documents that you’ll likely need to enter into a Subject To real estate transaction. I also explained and gave examples of important clauses, some specific to Subject To and others that are protective for you and even the seller. You can use these to draw up your contract, get it double-checked by a real estate attorney, and be well on your way to profiting with your Subject To investing strategy.